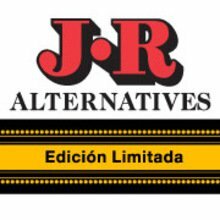 Crafted at the best factories in world using only luxurious long-filler tobaccos from some of the most famous brands worldwide, these specially made JR Edición Limitada Alternatives to the Cuban Cohiba Behike Laguito No. 4 cigar are finished with stunning Ecuador Sumatra wrappers. They are medium to full in body and loaded with mouthwatering flavors that are truly reminiscent of the real thing; they’re as close as you’re going to get to the real deal without breaking the bank. 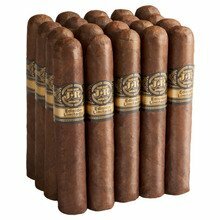 JR Cigar is the ideal place to buy cigars online, so pick up a bundle of 20 today to savor and enjoy! Great bold taste and perfect burn. The ash held on almost up to the band! Worst cigars you have ever sold me! I have been a customer for many years, these cigars have spoiled that. Every single one of these won't stay lit, burn sideways, tunnel and charcoal. Packed so tight that if I don't try to soften them up that I can't even light one. Terrible! 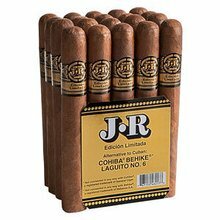 Find that line of JR Limitada Alternative, Cohiba Behike Laguito # 4 (4.75 × 52 EMS, That Lew referred to in a JR catalogue article, a few years back, and return it to its proper status. I have found my everyday smoke!! Great flavor , construction, smoke out put. Man im so glad i got these and definitely will be ordering more today. Love these things. Been doing about a bundle a week for about 2 years and have never tossed one. A few uneven burns but hey, the real monte #2's are famous for that. My go to smoke for sure. Surprisingly similar to the real deal! Great taste and closest to a real Behike that I ever tasted. Can't beat the price either!!! I smoke mostly maduro and ligero type cigars. The first 2 I had were within days of receiving the bundle. They were harsh and pure strong tobacco to the point it made my lips burn. I put them in an extra humidor I had for 3 months. My friend and I finally lit them up after resting and we couldn't have been more surprised. They had mellowed out and grew in flavor. Definitely not a Cohiba, but once it's rested a while, it's a great rich everyday smoke! A medium body, inexpensive cigar with impressive flavor and aroma. Remarkably consistent in most aspects. As an everyday cigar this one's hard to beat. Try 'em. I started smoking cigars in the 1960's thru this current year of 2017. I do not claim to be an expert tobaccoligist (or whatever) but, I do know what tastes good, to me. When I first found JR's Edicion Limitada Alternative #4 and #5 Behike's thought I was in hog heaven. To me, they were so good so I recently ordered 8 eight bundles to start filling up my cigar chest. Here is the real deal JR. I have let them gas out for while, hoping that they would mellow some ........NOT........ Out of 20 cigars that I have smoked 1 was a decent tasting, rolled, constructed, and burning stick. If I had my time back I would not have confirmed this last recent order. These "things" have must have been laced with battery acid, or powdered alum, for them to be so bad. the last one that I just threw away was so bad that I got up and decided to write a bad review to let folks know to save their money for something else that tastes and draws like a good cigar, rather than something like sucking on an old, corroded, automobile battery cable. I'm going to call mission control first thing tomorrow and see if I can get rid of these bitter dog turds........ Whoever screwed JR on this crap not only screwed the company ........ They screwed ..... US..... the paying customer! ... Sorry JR but I am highly disappointed. A one star is too good for this crap. More like a minus zero. 1 out of 8 found this review helpful. Excellent cigar and size for the price. Nice 30 to 45 min cigar !